This article is part of the series on installing various Linux distribution on Old Mac Mini. 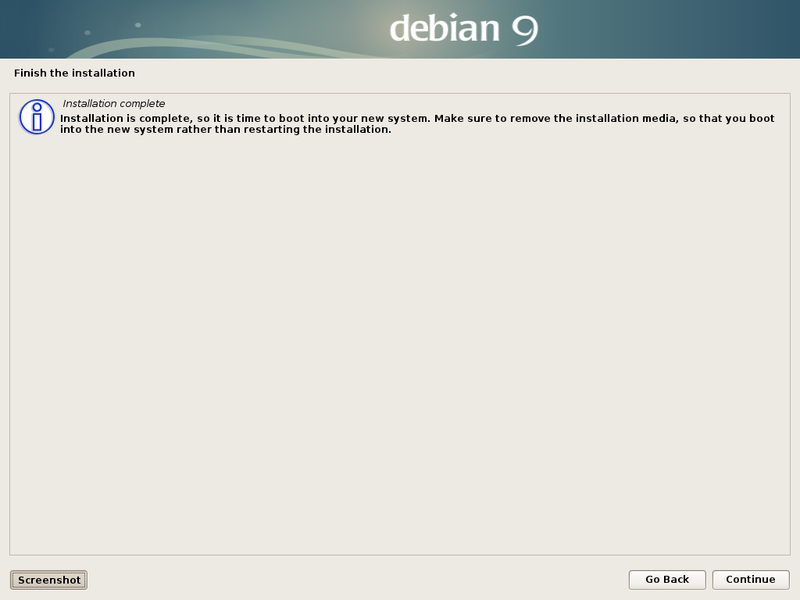 In this post, we are going to install Debian on our old Mac Mini (late 2009) version. Installing Debian on Mac Mini presents no major issue. We might need to reboot the machine to get the wifi to work occasionally, but most of the time the wifi works well without any issue. 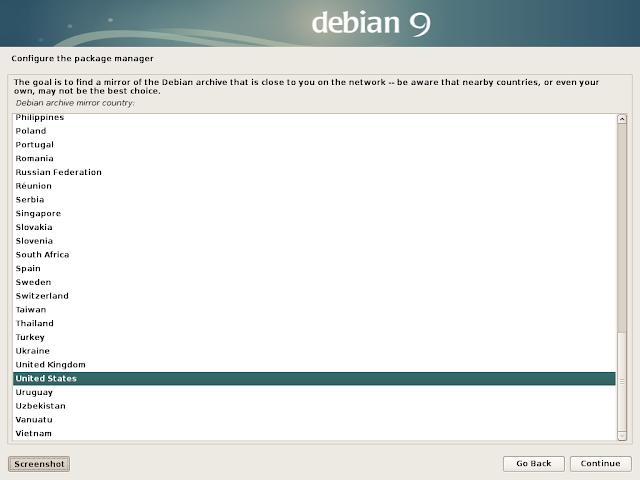 This is the second best Linux distribution that we have tried. Since we have been trying various Gnome desktop environment, this time we will use KDE Plasma desktop environment with Debian. 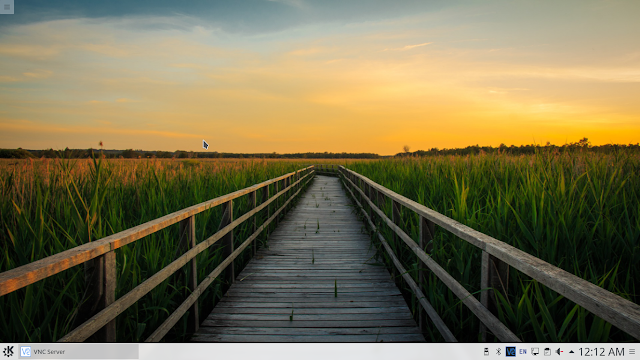 There is one minor issue, KDE Plasma seems eat up CPU and memory resources. You might want to try Gnome instead. We downloaded Debian for KDE iso image. 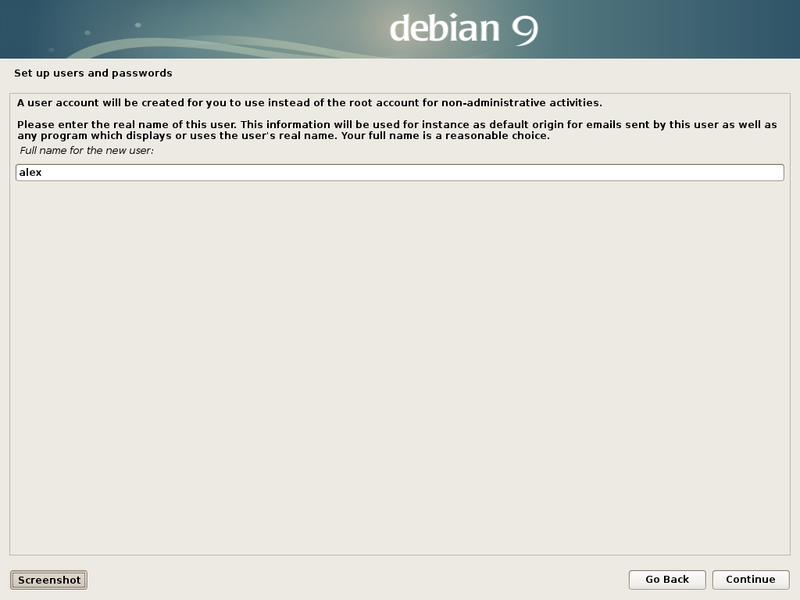 There are many type of Debian images. 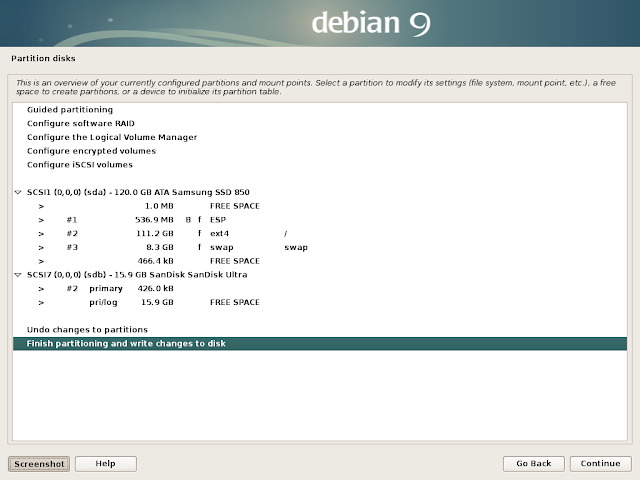 We use the 2.89GB version of Debian for KDE. Once we downloaded the image we burn the iso image to USB using Etcher. For those who need a tutorial for burning image to USB please refer to the Ubuntu tutorial. Select the language of your chose and click Continue. Select the location of your choice. Click Continue. Select your preferred keyboard layout. Click Continue when done. The system will copy component from the image and start to configure network. 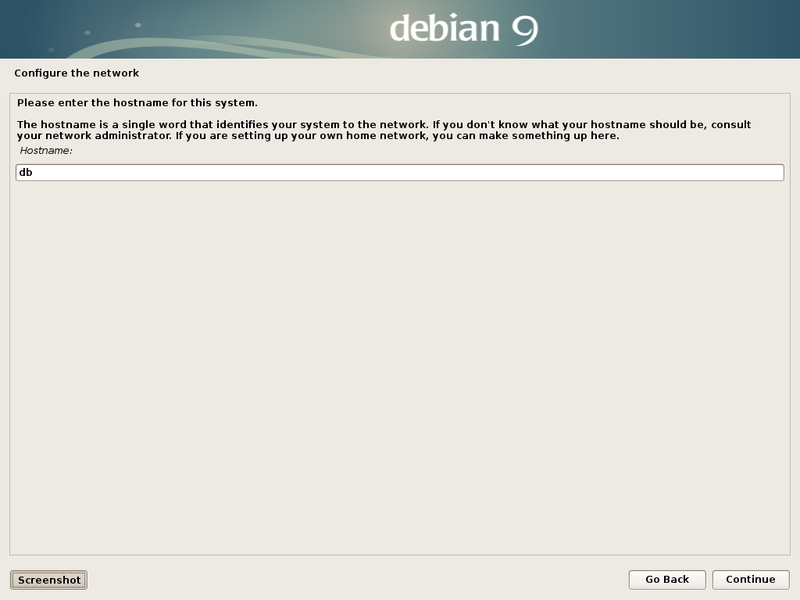 Debian will detect our wifi but it could not find the drivers. The following screen appear to ask us to supply the driver. 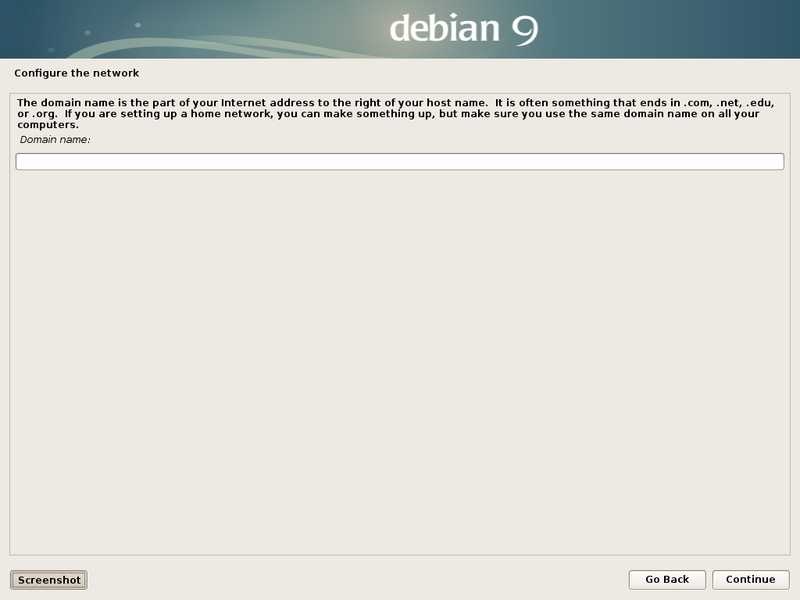 Enter your preferred host name of the Debian system. Click Continue. Enter the domain name. Usually we leave it blank. Click Continue. Enter the root password and click Continue. Enter the full name of system user. Click Continue when done. Enter the username and click Continue. Enter the password of the user. Click Continue. 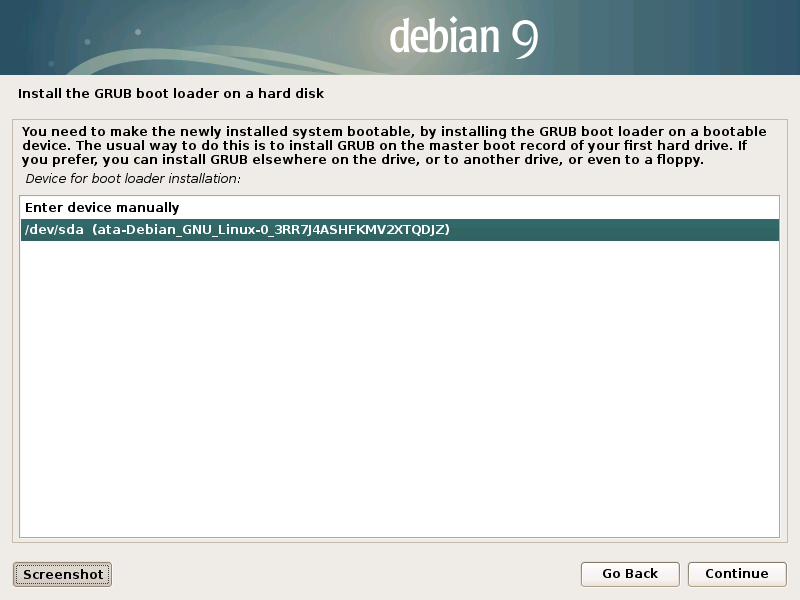 Over here, we choose to use the entire disk for Debian or we should use the free partition space. In this case, we choose to use entire disk. Click Continue. The installer would ask to confirm which disk drive to use for the Debian system installation. Select the appropriate disk. Click Continue when done. This screen will ask if you want separate home partition. For simplicity, choose to use all files in a single partition. Click Continue when done. Finally, the system will present the partition summary as shown below. This screen presents you the final confirmation of disk partition. Select Yes and click Continue. The system will proceed to install the base system and start copying the system files. 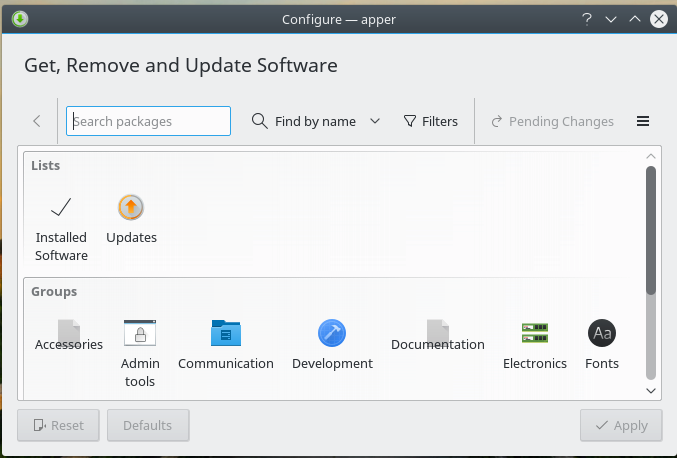 Once the installation of the base system is done, the system will check and configure package manager. Select Yes to use network mirror. Click Continue. Select the country of the mirror. The closest the mirror the fastest the download. Click Continue when done. Next you select the mirror within the country you have selected. Click Continue when done. Finally, we are given the choice of configuring the proxy server. Usually, we skip this part. Enter the proxy server if you are suing one. Click Continue. The system will proceed with the installation. 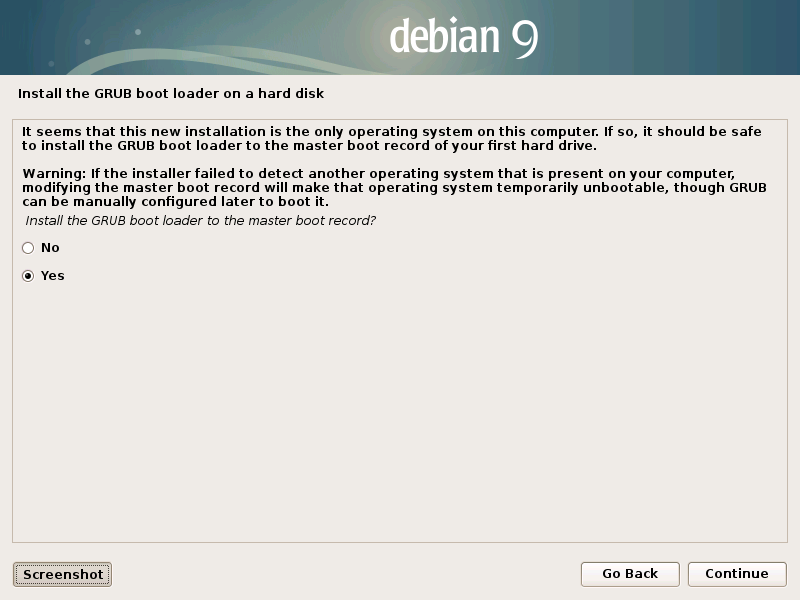 The system will ask to configure boot loader. 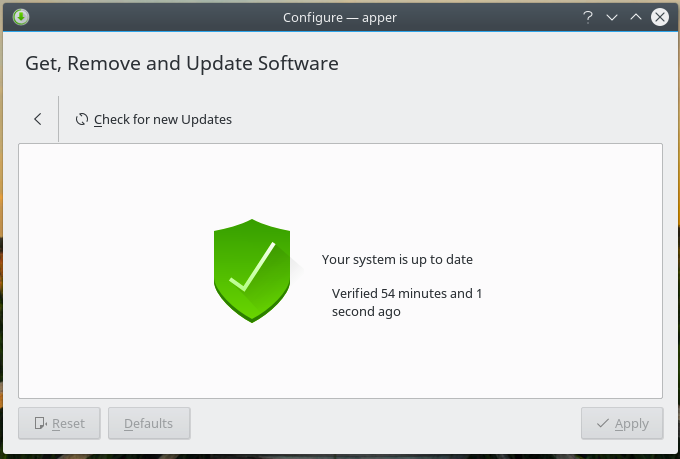 Once the system is rebooted, the first thing is to update the system. The best method of system update is to use the app Software Management. Open the app as shown below. Select Updates and the system will check for any updates. You may need to use root password to apply the updates. Select Account Details > User Manager, then we just need to check the box mark administrator. We need to logout and log back in for it to be effective. To install wifi, we need to modify the repository list. Use the command below to open up the source list. There are a total of 6 lines to append. After the installation is completed, we need to reboot the system. Please note that there is no need to modify the blacklist.conf file. 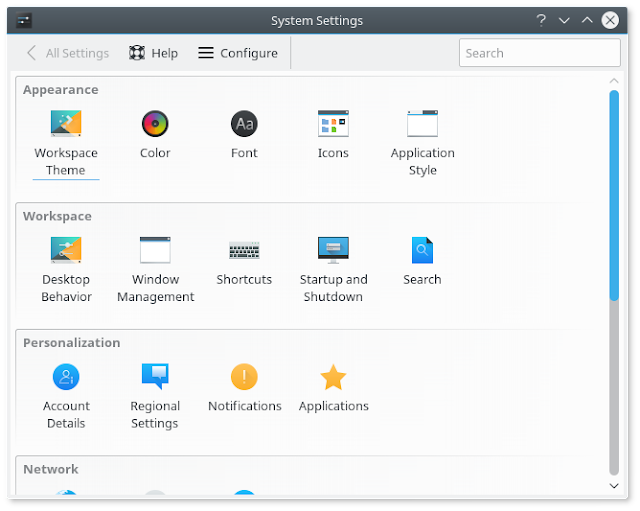 For configuration of RealVNC please refer to the post Install and Configure RealVNC in Linux Ubuntu 18.04 LTS. On day 4, we will learn how to manage and clean up containers. Then we will learn how to create common folder to be use in docker container. Listed below are many command that can be used to manage containers. For some function, there are more than one command/method to perform the task. The option -v allow us to mount a volume. In this example, we use $PWD which is the current directory (dockerfile) and map the folder to /home folder in Ubuntu. On the Mac OS, navigate to the Shared Folder (/Users/Shared/dockerfile) and check if the file test.txt exist. We can map any folder in the host system with any existing folder in Ubuntu. On Day 3, we will learn more about running docker app and various options. Basic syntax is only able to run hello-world properly. For other apps, we need additional options. We perform any task such just like a virtual machine. Type exit to end the session. We can remove the container using the custom container name that we supplied. Once we command is executed, we are brought into python shell. If we exit the shell, the container will be terminated and exit. 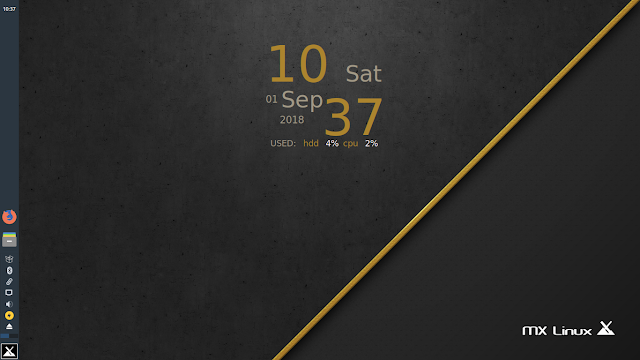 The space after the image name is reversed for execution command. We append the command to run bash shell instead of Python. We can enter Python from the bash shell and once we exited from Python shell, the system will return us to bash shell. 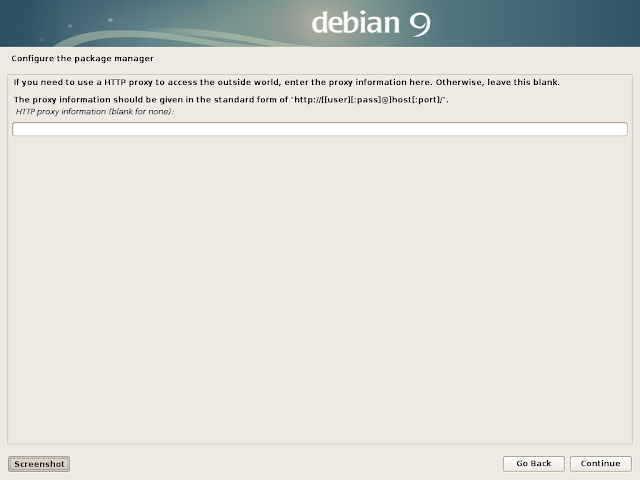 -d is to tell the container to run but detached from the terminal shell. This way we can still use the terminal for other purpose. -p is to map network port from our Mac OS with the Linux system. Please note that when we use -d, the server app will be running in the background, we need to use ps command to check the process and kill it when we need to stop the server. The screen will return to prompt. 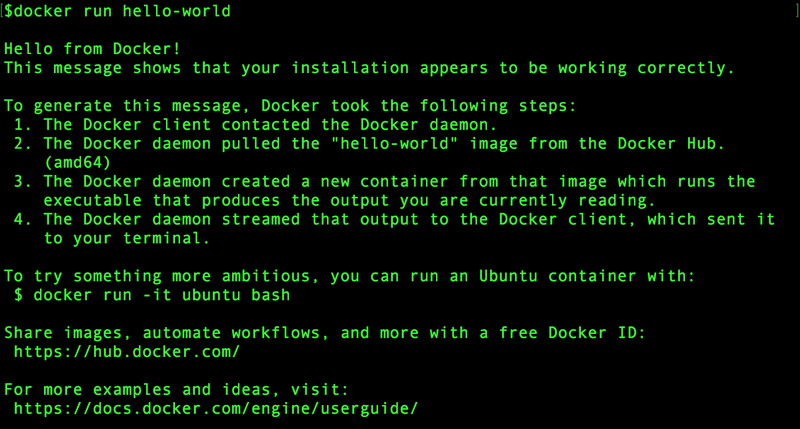 To check for the process, we use the command docker ps. To test the webserver, use the address https://localhost in a web browser. You should see the following message from the web browser. If we check the docker process, we should return no process. 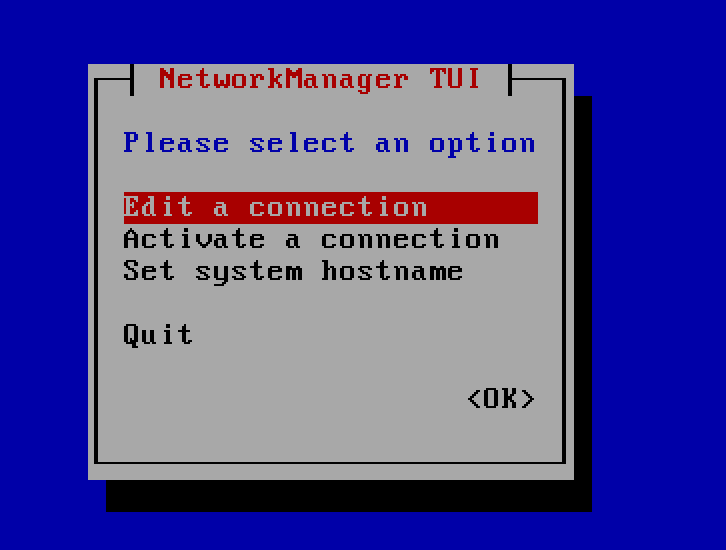 To setup a network device on Ubuntu server 18.04, we need to use new network setup application netplan. Netplan allow us to configure new network adapter. 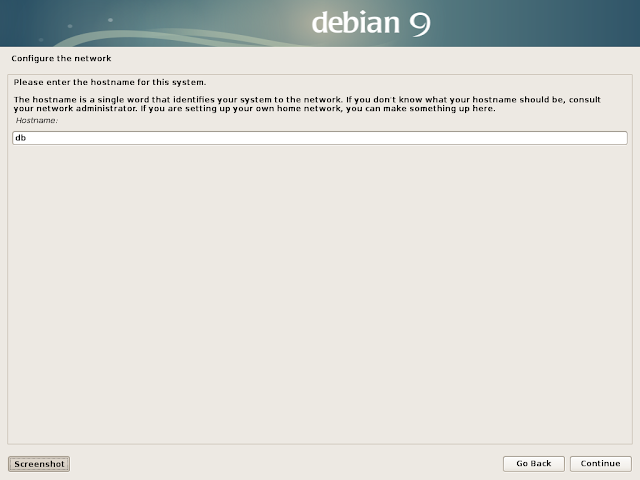 We encounter network setup issue when we need to add a second network adapter in VirtualBox for networking with host. Use the following command to enable dhcp client. 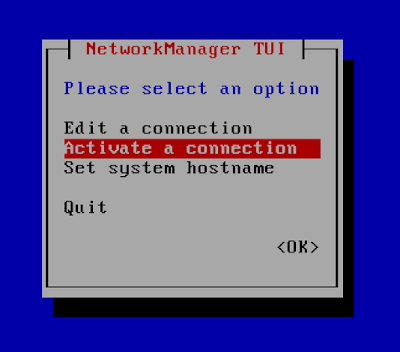 On the configuration file, we add additional network device as follows. Please note that enp0s2 is the current default device and enp0s4 is the new device. Please also make sure that indentation are aligned correctly. This configuration file requires proper indentation. If we installed a sever such as Ubuntu server on VirtuaBox, we will not be able to ssh into the server since the network are isolated from each other. 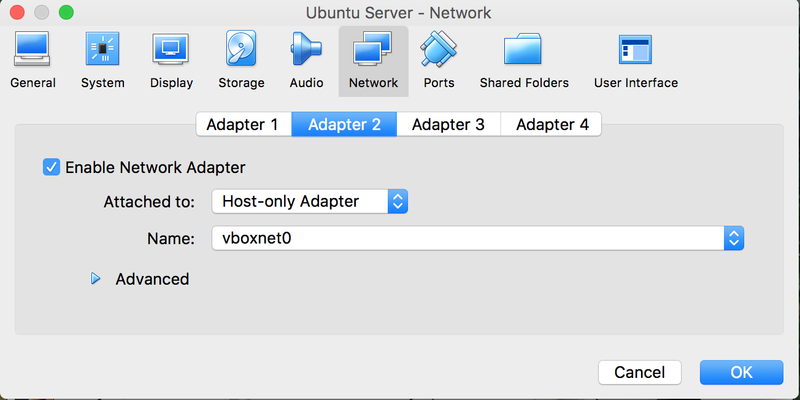 To establish connection with VirtualBox guest OS, we need to create a separate network and a 2nd adapter for host only connection. Before we create a second adapter on the ubuntu server, we need to create a separate network for the host-only adapter. Click on Create to create a host network. A host network known as vboxnet0 is created with a separate subnet and a dhcp server. We can create one network for each server or we can use the same network between different server so that they talk to each other. 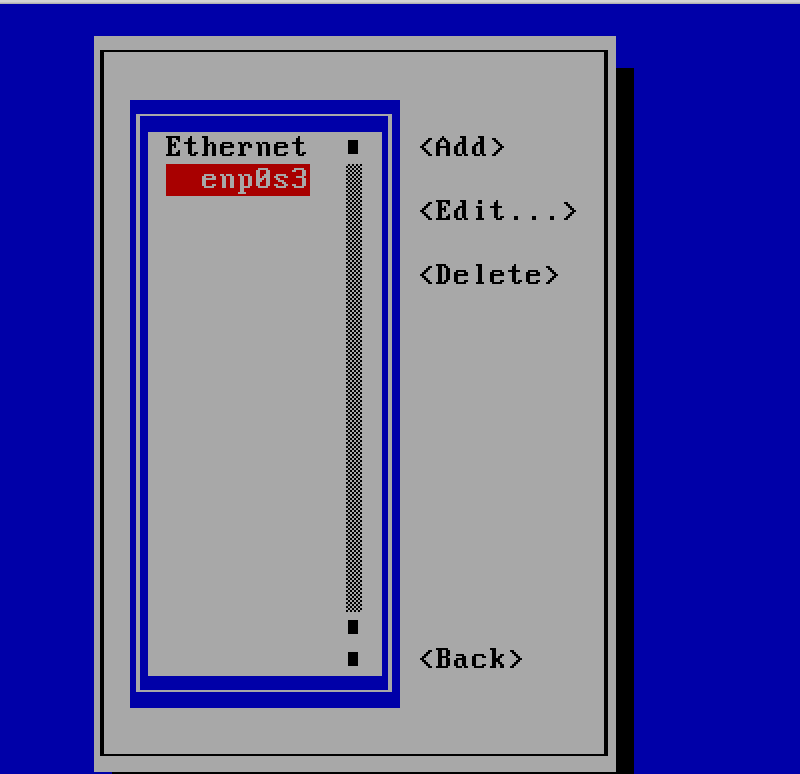 Next, we can setup a 2nd network adapter on the virtual machine. 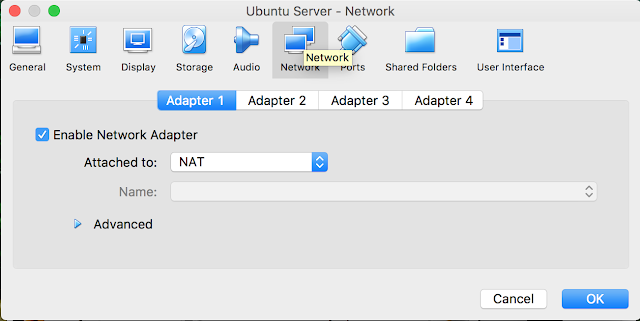 On the virtual machine, we can see that the first network adapter is setup as NAT device so that it can communicate with the internet. On Adapter 2, we enable the network adapter and attached it our host network vboxnet0. Finally, we need to activate the network on the server. On Mac OS X, we have few choice of virtual machine to choose from. For free version, we have VirtualBox and Parallel desktop Lite. For paid version, we have WMWare Player and Parallel Desktop. For free version of VirtualBox and Parallel Desktop Lite, the features are quite similar although there are some differences. Almost all Linux distribution can be run on VirtualBox whereas only some version of Linux Distribution can be run on Parallel Desktop Lite. 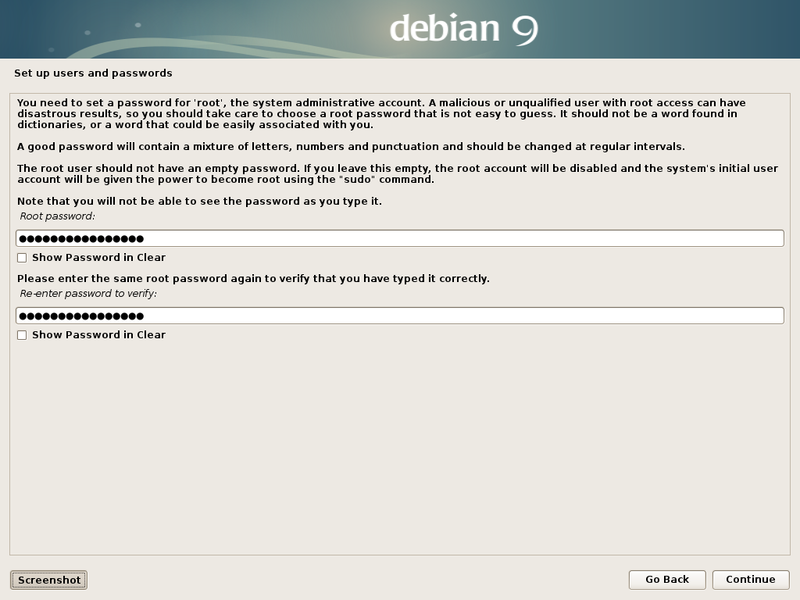 One of the disadvantage of Parallel Desktop Lite is that the guest OS could not tunnel into host VPN connection. However, Parallel Desktop (paid version) got no problem connecting with host VPN connection. VirtualBox also does not have a problem using host VPN connection. 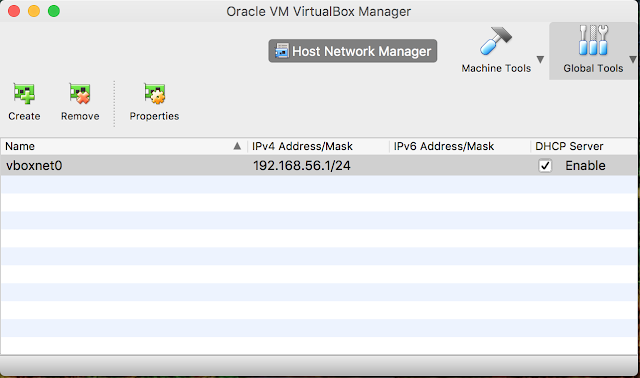 Both VirtualBox and Parallel Desktop Lite handles network differently. 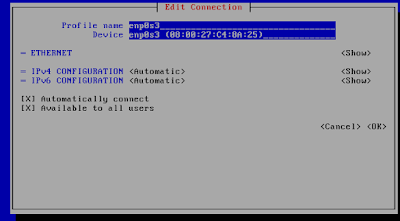 On Parallel Desktop Lite, the default network setup is shared network. Host can ping to the guest OS and vice versa. This make ssh connection must easier between host and guest OS. 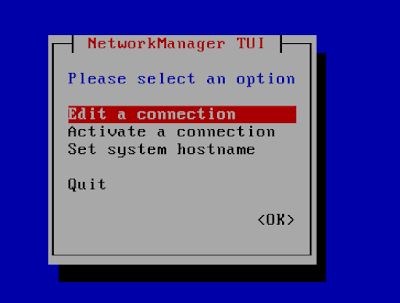 VirtualBox however handles network differently, to be able to ssh into guest network, we need to create a second network adapter so that host OS can ssh into guest OS. In term of network security, Parallel Desktop Lite has weaker security since host and guest OS can communicate easily. 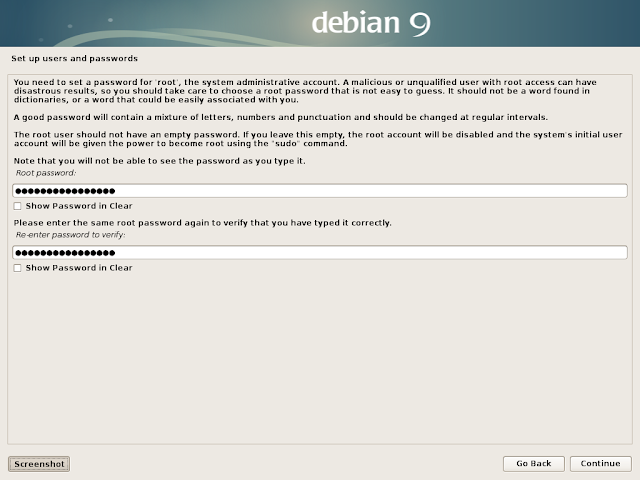 On the other hand, VirtualBox present a better security model since the network from client and host are isolated. Once we confirm that the device is present, use another tool to activate the network. 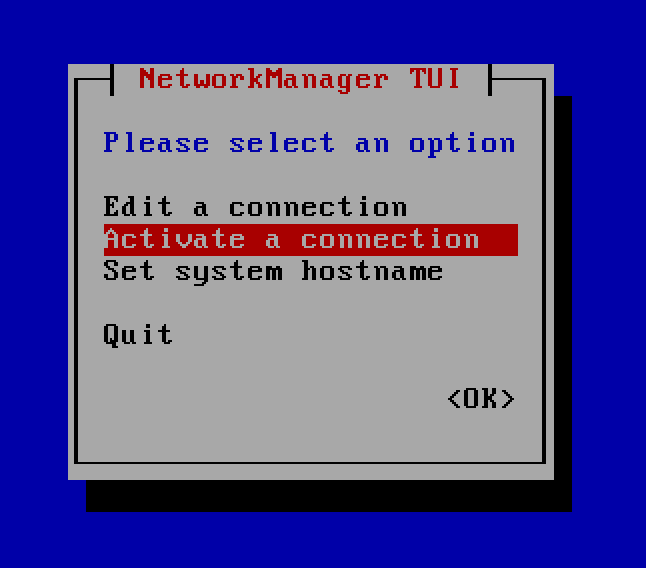 Use the command below to activate the network. Most of the setting are default, just make sure that "Automatically connect" is checked. Select OK when done. On the main screen, select Activate a connection. Once the connection is activated, we are good to go. For second day of Introduction to Docker, we will learn how to run the docker test app with name option. After that, we discuss about pulling an actual docker application and we will learn the naming convention of docker image. We then remove the container using the ID or the name cranky_brahmagupta. This name is created randomly by the system if we failed to supply a name. Please note that the name of the container will be the name that we supplied. We can remove the container using the name. 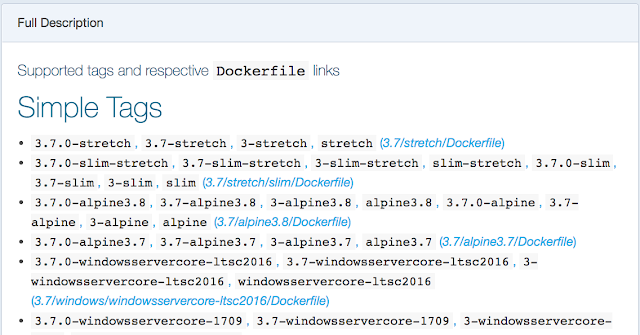 As we have mentioned in the previous post, a docker image contains a single app. Docker.com supply many apps such as Wordpress, mySQL, MongoDB, Python, CentOS, Alpine (light-weight Linux) and Ubuntu. We can download these image first before running it. We use the pull command to download image without running it. 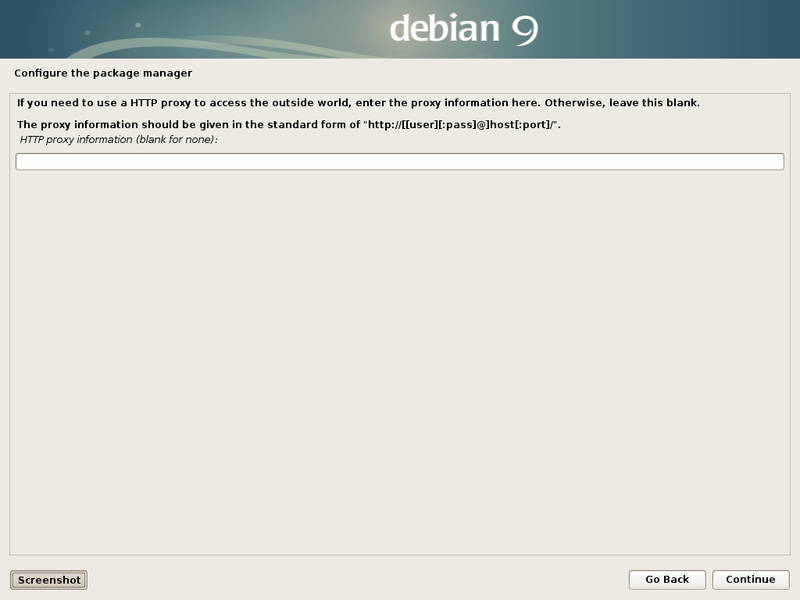 As you can see, if we just use the image name ubuntu, the system will post fix the image name with a tag :latest. We can try pulling other OS such as CentOS and Alpine. As we can see, Alpine has the smallest image size whereas CentOS takes up 200MB. Docker uses tag to further differential different image with a same name. For example, if you search for python image for docker, it contains many version of python. If we pull python:latest, the image will include both python2 and python3. We can download a specific version of python using different tag. On the docker for python webpage, there are many tags. The screenshot below is just a portion of the tag. We can even download older version of Python using the tag. This image is much smaller than the default image python:latest. The default version contain both Python2 and Python3. The slim 3.7 version only contain Python 3.7 without any additional libraries. There are also community developed docker images. The name of these images are prefix by their user account. For example, Google also supply docker image for its machine learning platform Tensorflow. The name of the image is tensorflow/tensorflow. The first tensorflow is the name of the account, the second name is the name of image. Once you have your own docker account, you can create your own docker image. Let's say you have created your own version of hello-world. 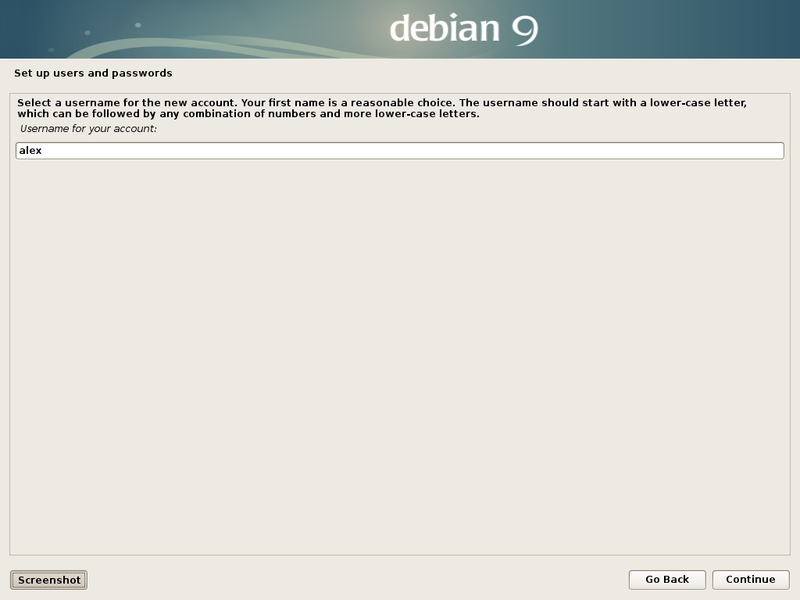 To identify and differentiate your version against the official version, we name the image as <username>/hello-world. So to pull an image not developed by Docker.com, we use the naming convention mentioned above. Please also note that if you have more than one image with the same image name, we must include the tag. Otherwise, the system will remove the image with default tag "latest". Please also note that you need to remove the related container first before you can remove the image. If we were to run Raspberry Pi headless (without attached monitor), it would be nice if we can perform unattended system upgrades. 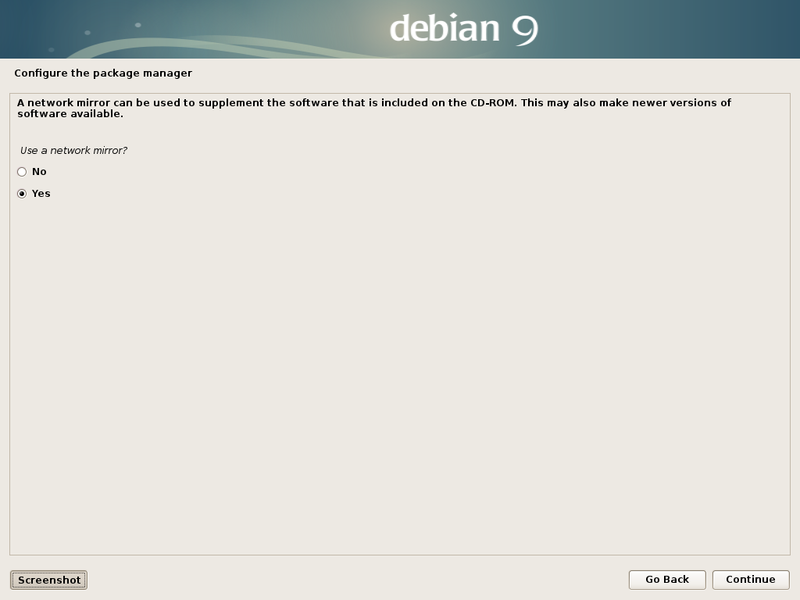 In Debain/Ubuntu class of software, we can perform unattended upgrades using the software package unattended-upgrades. Basically, we commented out those type of upgrade we want to apply. The second last line allows the system to email us the status. 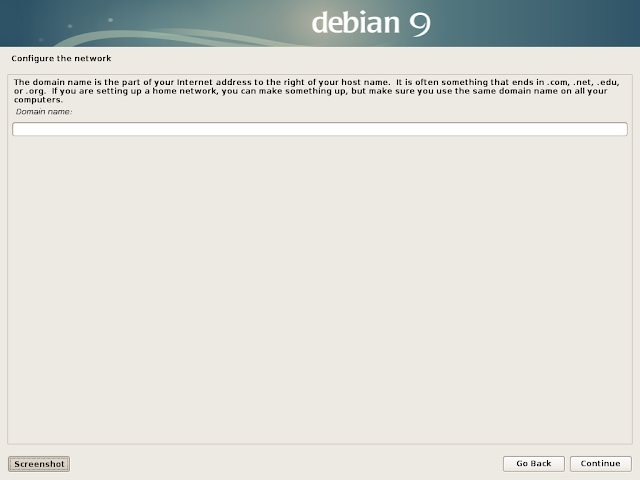 We must install mailutils or mailx first in Raspbian for the email notification to be effective. The last line allow the system to reboot automatically. Please also make sure that update-notifier-common has been installed. There are more option that we can set such as reboot time and log file in the configuration file. Uncomment any option when necessary. Next, we need to amend another auto upgrade configuration file. This is a basic introduction to Docker for Mac. Before we starts to understand Docker, we must know about virtual machine. 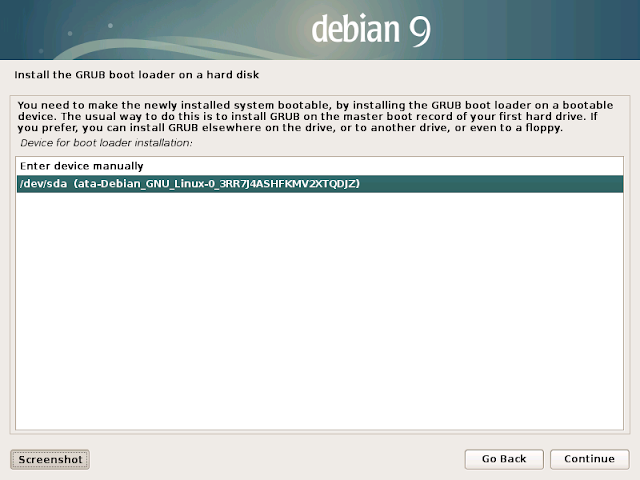 Readers for this blog is familiar with VirtualBox and Parallel. 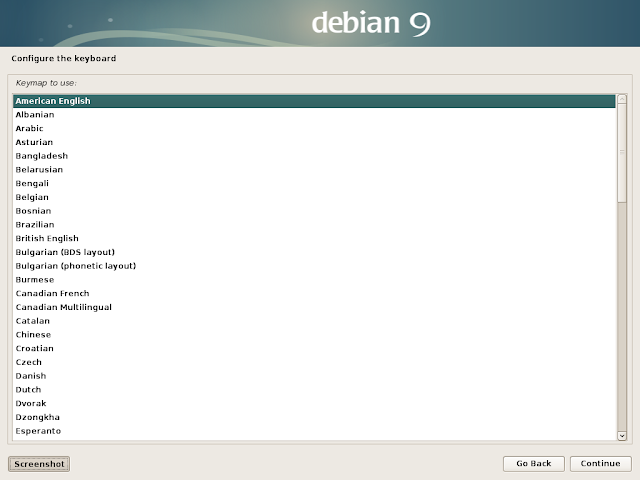 Recently, we are testing various new Linux distribution via virtual machine. So far we have installed more than 10 different flavor of Linux distribution. It takes up more than 80GB of hard disk space. Since, a lot of them are different flavor of Debian/Ubuntu distribution, there are a lot of repetitive installation. We are not going to show the standard layered chart. If you preferred the official layered chart, please check out the tutorial from docker. The chart below is an example of what happened to by Macbook Pro. 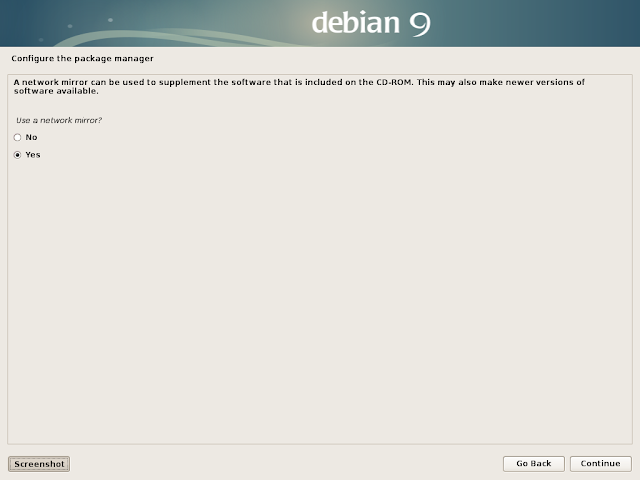 If we use Docker, then we can dispense with installing different flavor of Linux. We can still have different flavor of Linux in a docker but the foot print is very much smaller and there will be no repetition of base code. So instead of virtual machine or virtual OS, we have virtual app. This is the basic concept of Docker. Docker is useful if we are to test an app in a controlled environment. Another use case is to implement development environment. For example, we need to install Octave and Python 3 in our laptop for machine learning. In addition, we also need to test out Tensor-flow a machine learning framework from Google. We can install Python 3 and Octave for Mac. We can also install Tensor-flow. However, all these development environment will be in the same machine and each component may have impact on each other. So it is best if we can isolate each development environment. This is where Docker comes in. Now, lets dive into Docker. First we need to install Docker. 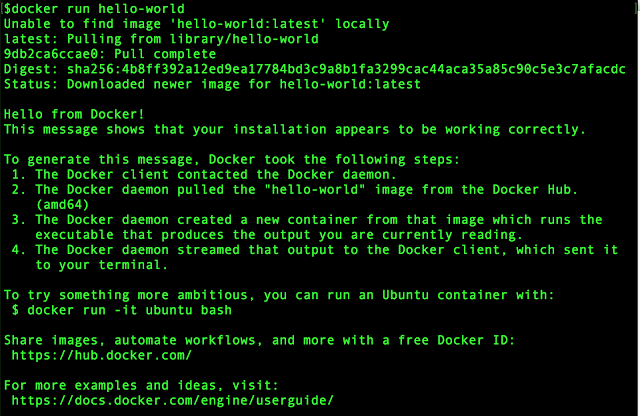 To install Docker for Mac please refer to the nice tutorial from Docker. 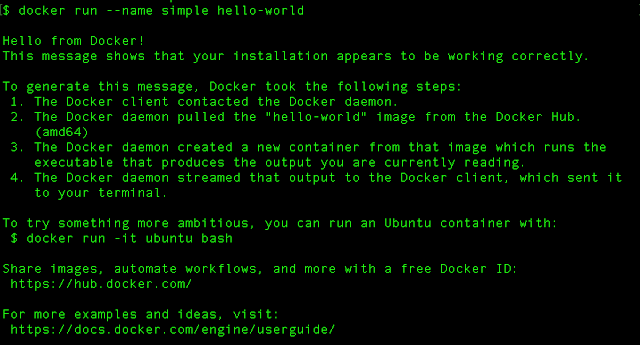 If you want install Docker in other system please refer to the main page of Docker documentation. To explore the details on Docker for Mac, please refer to this site:https://docs.docker.com/docker-for-mac/ . This site contains everything about Docker for Mac. However, we will go through them on a gradual progressing pattern. Now that you have Docker installed in your system. You have a little whale on your top menu bar. Lets try some basic command. Docker uses terminal heavily, please fire up your terminal. The first word docker tell bash shell that this is a docker command. The second command is to instruct Docker to run something. 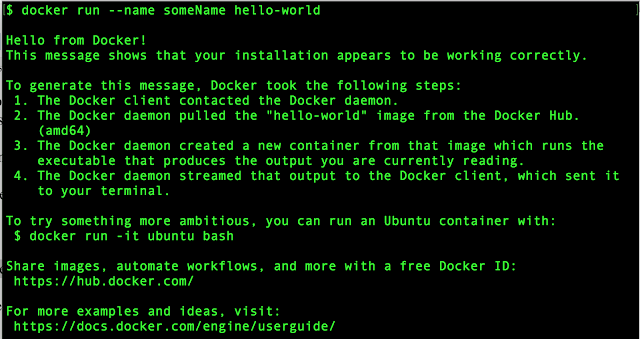 The third word hello-world is the name of a docker image. Please note that the message unable to find image 'hello-world:latest' locally disappear. This is because we have previously downloaded the image. Docker just run the same image again. So lets get acquainted with 2 terms, Docker Image and Docker Container. A Docker Image contains an app. It is similar to the dmg file we download for Mac app. Usually, we run an image just like running an app. Although technically, we can include more than one app in an image, but this defeat the purpose of isolation. Docker recommended that we put one app per image. 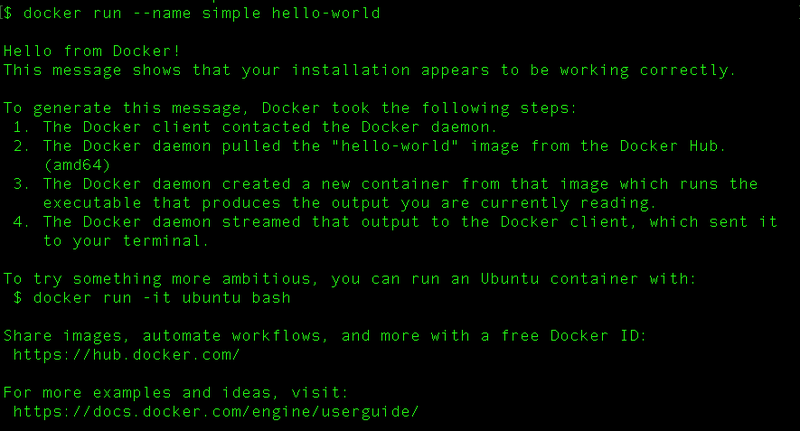 When we run an app like hello-world, it is actually running in a Docker Container. 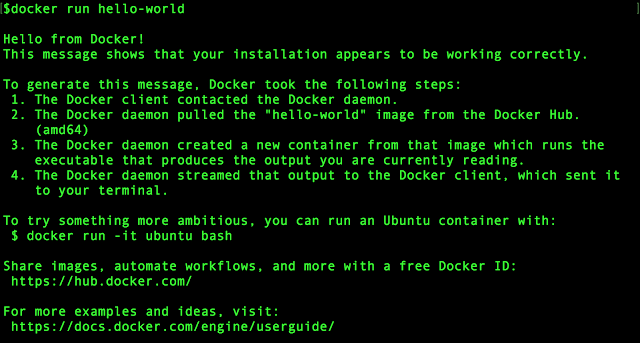 A Docker Container is an isolating environment or mini OS where an image can be run on. So image is like an installation package and the container is just like a mini runtime environment. Once we exit the app, then the container is consider spent. As you can see, there is no container. Actually, there is no active container. The command ls only list down any active container we have. Every time we run an image it will create a new container. As you can see from above, both container has the same image name. The only way to differentiate both containers are container ID and container names. When we run the image, we do not give the container any name. By default, the system will give each container a different random name if we fail to provide a name while running it. Next, we remove the remaining container using container name. We have one image stored locally. Similarly, we can identify the image using image name or image ID. There will be no image left. A docker image contains the code of an application. We run the image in order to execute the application. A docker container is an isolating environment which a docker image runs on. We will stop for now. In the next post, we will look into images and pulling images.